I will admit, it has been a while since I have been able to post anything new. Granted, I was a little distracted with a few happenings this summer... and now that the wedding is over and I am finally settling into life in Colorado, I have some time to focus back on my blog! Thought I would start with something new that I have always wanted to play with but never had the "time": photography + photoshop. Most of the images on my "Photography" page have had no editing (besides maybe cropping), so I wanted to explore what options Photoshop has for editing pictures. Last weekend, I hiked Mt. 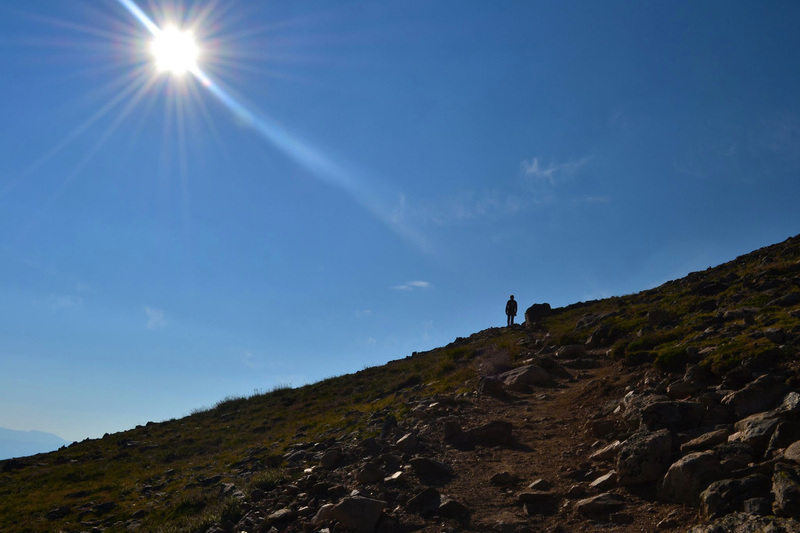 Elbert, the highest peak in Colorado, and captured some pretty neat moments. I decided I would play with a few of the images in Photoshop today. The top image on the left is an original, followed by editing using selective color (to brighten and bring more color in), and finally the below image uses a Cutout filter. Overall, I had a lot of fun, but realize there is a lot to learn still. My hope is to read more about using Photoshop to edit pictures and see what adjustments are best to use. More importantly, I want to continue learning about my Nikon camera in order to become familiar with different settings and techniques to make the original image the best it can possibly be. Today, I worked on creating wall sconces, a TV stand and a coffee table. I have decided to model everything on my own instead of relying on the Google Warehouse. The sconces proved to be the most difficult item to make so far, since the solid tools set is not available in the free version of SketchUp. In the end, I had to do some research to figure out how to create a spherical object using the FollowMe tool. I am so used to modeling in CAD that I expect every other modeling program to have the same design depth. 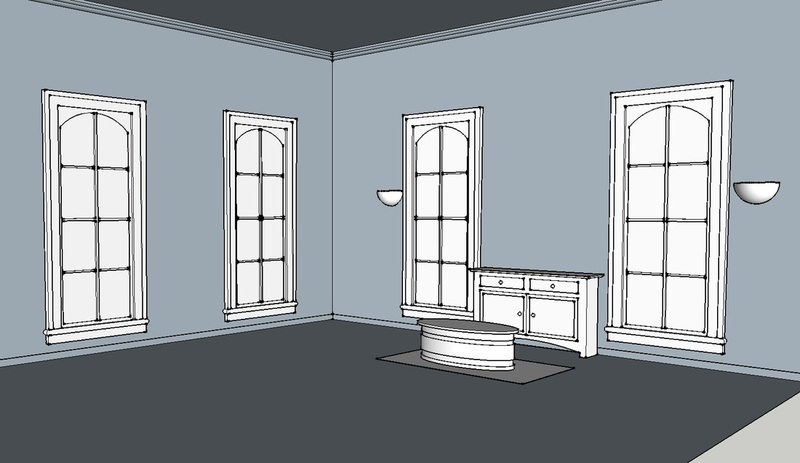 SketchUp is meant to be used for quick modeling. Clearly, I need to let go of the impulse to focus on the extreme details and instead look toward the big picture. Overall, I think my speed is improving as I become more and more comfortable with SketchUp's tools. Next, I plan to model a couch, love-seat and chair, then hope to work on materials. Because I need more practice with SketchUp, I decided to expand upon one of my school projects of an apartment centered around aging in place. While in school, I only had time to create a 3D model of the kitchen in AutoCAD. This will be a great opportunity to not only expand my SketchUp skills but add depth to my apartment project. Today I started working on modeling the living room. I was able to create the outer shell of the space including the large windows. I will continue to expand upon the space and hope to eventually move to other rooms. The original floor plan can be seen on the left for reference. Unit 7 is broken up into four sections. - Unit 7A - Learned about View Templates and Object Style. The nice thing about View Templates is that they can be edited to incorporate different visibility parameters and can then be applied to any view. This can be useful if you want to create both a floor plan and furniture plan. Object Styles, on the other hand, change visibility settings globally (in all views). In this exercise, I learned how to create and assign subcategories, along with overriding individual objects. The last section covered view filters. - Unit 7C - In this exercise I further explored groups and how to convert them into links. I took the string of offices on the first floor and made them into one group. Then I converted the group into a link and copied/pasted the offices into the second floor (see image, bottom left). I also learned that if you edit the original link, the project file where the links are located change to reflect the edits. - Unit 7D - Explores Dependent Annotation views. I learned how to create dependent views by duplicating levels as "dependent." This exercise was used to show how to create two sheets with two parts of a single view (see image, bottom left). This comes in handy when the full floor plan prints too small on one sheet to read annotations. Unit 6 focuses on using Levels, Reference Planes, and Grids as design constraints within a project. The exercises allowed me to experiment with locking walls and structural columns to grid lines. I was then able to see how moving the grid lines effects the elements locked to them. 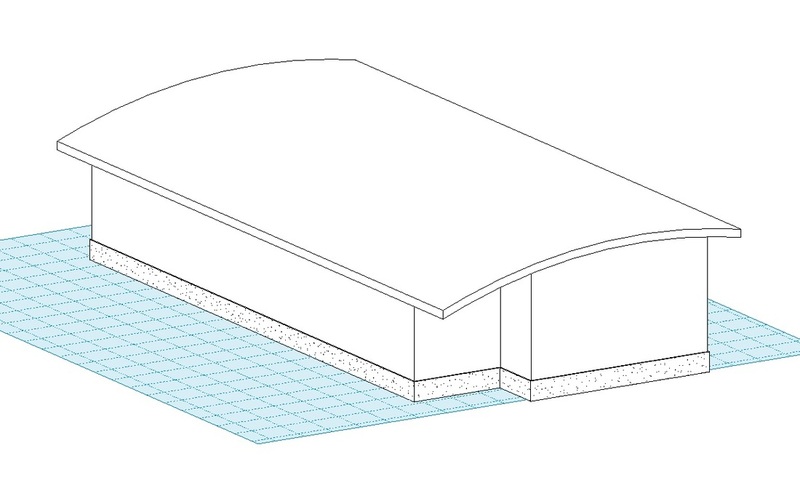 In addition, I created an arced roof using a reference plane (image on left). These core concepts are extremely beneficial if you want to maintain an underlying structure to a project. Using these types of design constraints makes it easy to manipulate multiple objects with one edit. The last portion of the exercise briefly introduced how to create, edit, an apply view templates. The reading spoke a lot about 'Views' and their properties (such as detail level and underlay). There are five sub-exercises within Unit 5. - Exercise 5A explored more with section views and detail callouts. I also learned how to create a sheet with multiple views and how to add shadows to a view (see pictures). - In Exercise 5B, I duplicated the roof type in order to create a new type. Then I assigned different materials to the layer components of the roof. It's becoming easier to maneuver the type properties. Finally I learned the difference between a model pattern (which fits to the model) and a drafting pattern (that changes according to the scale of the model). - Exercise 5C was about wall cleanup and display. I used the 'visibility/graphics overrides menu' to change the thickness and color of walls and wall components, both globally and within a specific view. I also learned how to change wall joints. While this exercise seemed very architectural based, it is very useful to know where the edits are located and how they operate. - Exercise 5D, was a bit tricky due to the fact that the sun settings, tools and windows have changed since the workbook was written. Took some searching but finally figured out sun and shadow options are located under the graphic display options. I really like that you can replicate sun movement for different cities and times of the year. This is a very useful tool and one I will continue to use. 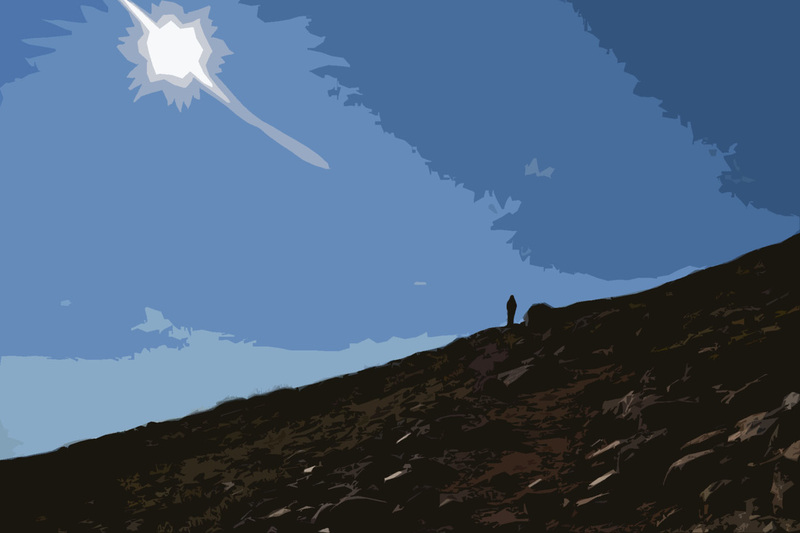 The exercise showed how to export the sun study to an AVI file (screen shot below). 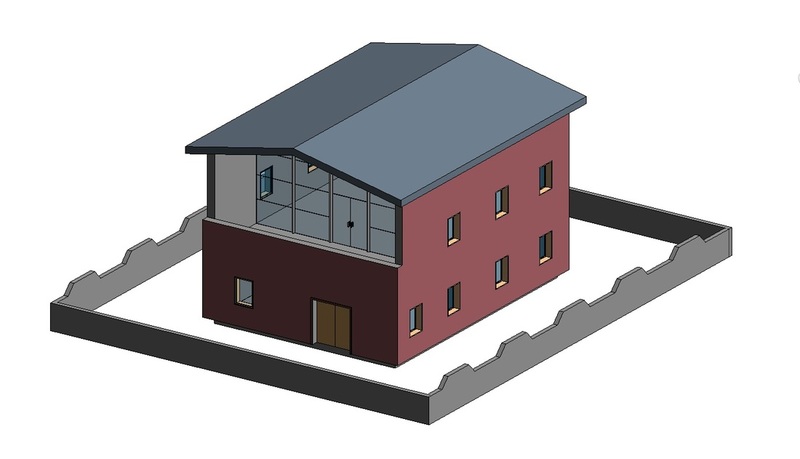 - Finally Exercise 5E showed me how to import a model created in Revit to 3ds Max. While this was a great introduction, I am thankful AutoDesk also has a curriculum focused on just 3ds Max visualization. I plan to work more with 3ds Max in the future. Unit 4 focused a lot on editing parameters, specifically the difference between editing type parameters and instance parameters. I am becoming more comfortable with loading families, adding objects, and changing types. This unit also covered dimensions and how to create an explicit relationship, which I did between a door and the adjacent wall. I also changed the window inset (a type parameter) of two case windows on the 2nd level and then the sill height (an instant parameter) of one of the windows. I completed the final Beginner tutorial on SketchUp today! Learned how to make my own piece of furniture using groups and components. I think from here I will start to explore on my own with SketchUp. Perhaps use it to create different furniture pieces or to rearrange a room. Once I become more comfortable, I will try some of the more advanced tutorials Google has to offer. Unit 3 focused on the differences between 'Families' and 'Types' along with how to edit/modify 'Families.' Through the readings and the exercise I am starting to see Revit demands much more technical knowledge to create a successful project than CAD does. There are a lot more things you can 'fake' in CAD that in Revit require detailed examination and explanation. 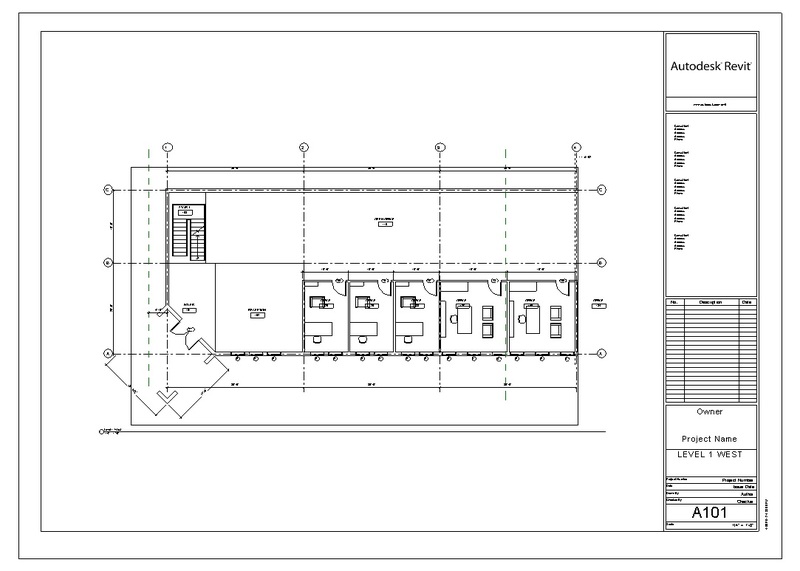 Revit forces you to think and design in a more professional manner.The exercise also taught me how to create a wall sweep and reveal, along with splitting the exterior wall to create a new wall component. The purpose of this was to learn how to modify a wall that belongs to a system family. I then learned how to modify and save a window type that is part of an external (or hosted) family. Moved onto Unit 2 today. The exercise walked me through morphing the last home into this two-story building with an upper deck area and a curtain wall. I am learning more how to navigate through the toolbars as well as how to use the sketch interface. Also learned how to make section elevations today! It has been hard to not resort to typing CAD commands, but I have enjoyed exploring the different tools and properties. There is so much this program can do it is hard to not be slightly overwhelmed at first. This spring, I have begun expanding my computer program knowledge to include Google SketchUp and Revit. I plan to post my progress as I explore these design programs further.